A fully refurbished 1974 Ferrari Dino 246 GT and an extremely low mileage 1998 Ferrari F355 Berlinetta go under the hammer later this month. Both are appearing at Silverstone Auctions’ Race Retro Classic Car Sale from the same private collection. The first of the two Pininfarina styled models - a UK right-hand drive Dino 246 GT - is finished in Rosso Chiaro with a black vinyl interior, and features the very rare and factory fitted flared wheel arches with Campagnolo wheels. The Daytona seats were added at a later date, creating what Ferraristas know as the 'Chairs and Flares’ model. One of just 13 examples with these features in the UK, the owner acquired the car in January 1995 as eighth in a line of owners including renowned Ferrari collectors. He used the car sparingly for ten years for fine weather driving only, before deciding to send it to Ferrari Specialist Nick Cartwright for a comprehensive refurbishment in March 2014. More than a year was spent addressing aspects of the car including mechanics, bodywork and interior, including a bare metal strip of the chassis, engine bay and bodywork as well as a full respray. “All this work has produced what can only be described as a truly beautiful and expertly refurbished example of what is often referred to as the prettiest ever road going Ferrari model,” said Adam Rutter, classic car consignor, Silverstone Auctions. Now offered for sale for the first time in 22 years, this special Dino, reading just 34,935 miles, is accompanied by a complete toolkit and jack, as well as a Ferrari Warranty Booklet, Dino Owner's Manual and a UK V5c, and will be offered with a pre-sale estimate of £300,000 to £350,000. 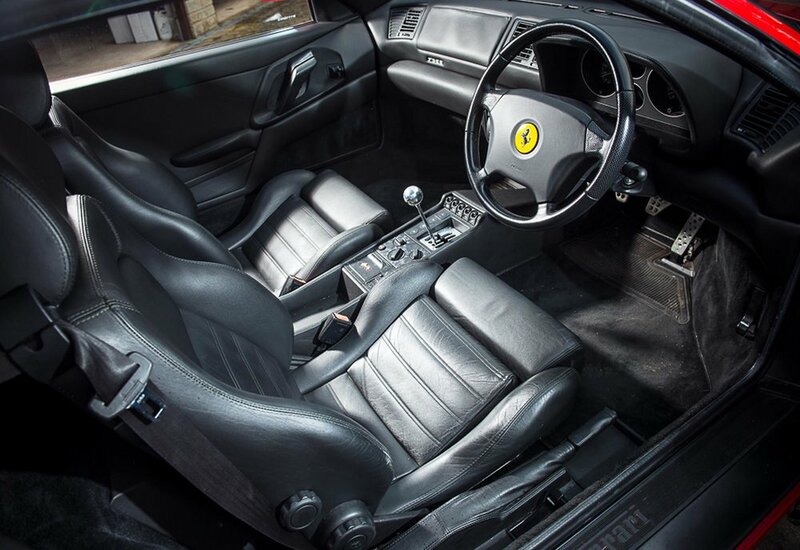 The second car for sale is a F355 Berlinetta with an incredibly low mileage of just 7,017 miles, owned by the vendor from new and now to be offered for public sale for the first time in its life. 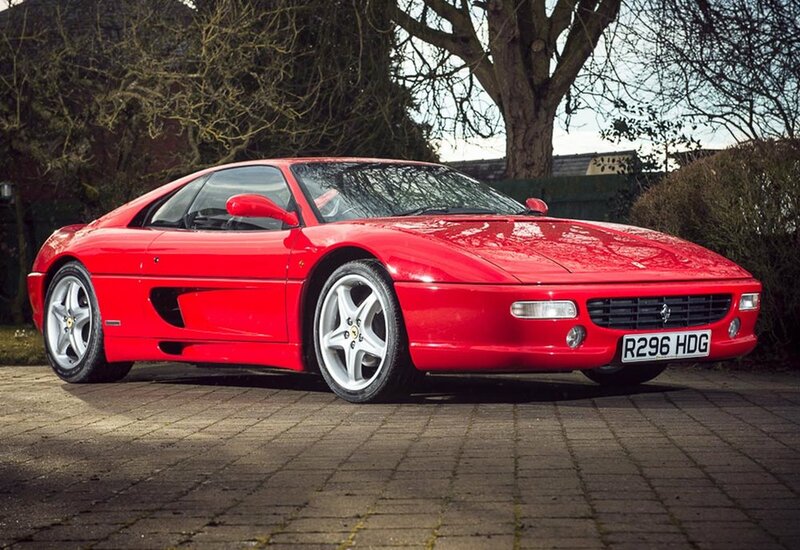 Supplied new to the owner by Mortimer Houghton Turner Ltd in March 1998, this right-hand drive, UK delivered example is finished in Rosso Corsa with a Nero Black leather interior with black carpets, and features a rare manual gearbox. The car will be offered at the auction with a pre-sale estimate of £85,000 to £100,000. “Rarely do single-ownership examples combined with such low mileage and in such excellent condition come to market. This one will certainly not disappoint,” concludes Rutter. The car will be supplied with an MoT until 14th October 2017, a full tool kit, tyre inflator, bespoke car cover, and leather book containing all the relevant manuals. The Silverstone Auctions’ Race Retro Classic Car Sale takes place at Stoneleigh Park, 25 - 26 February.